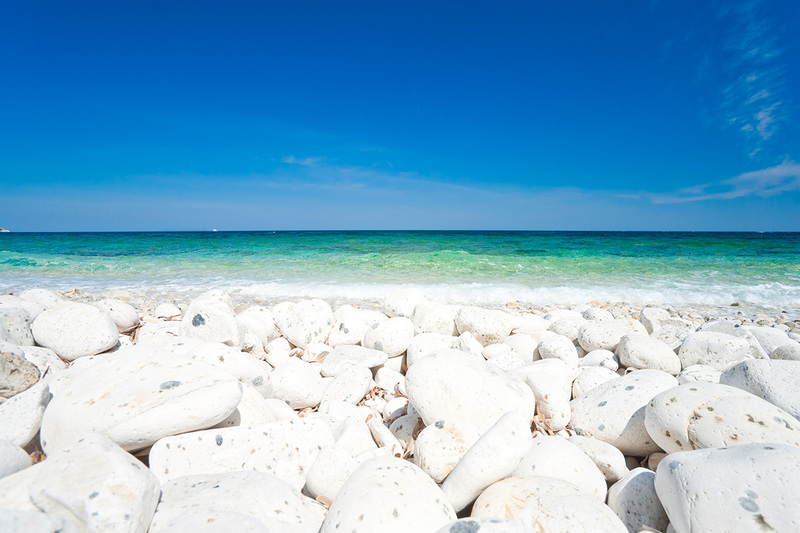 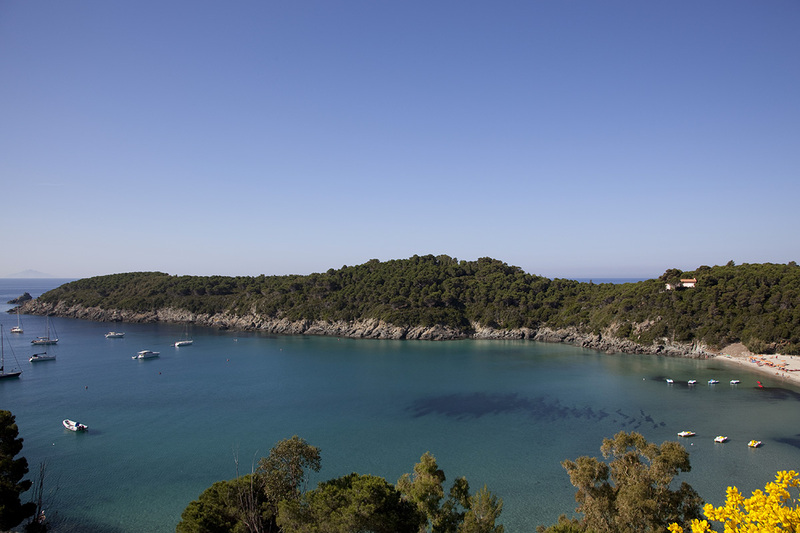 Legend has it that the Tuscan archipelago was created by 7 pearls, which fell from the necklace of the goddess Venus to the Tyrrhenian Sea. 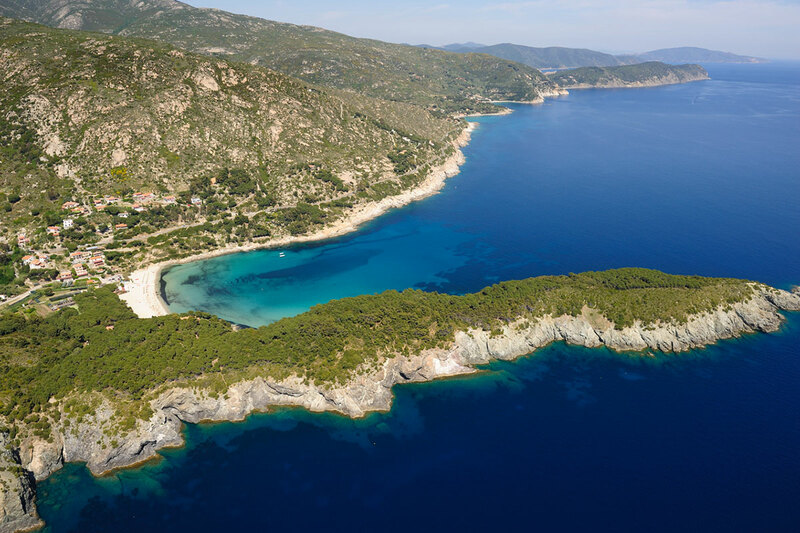 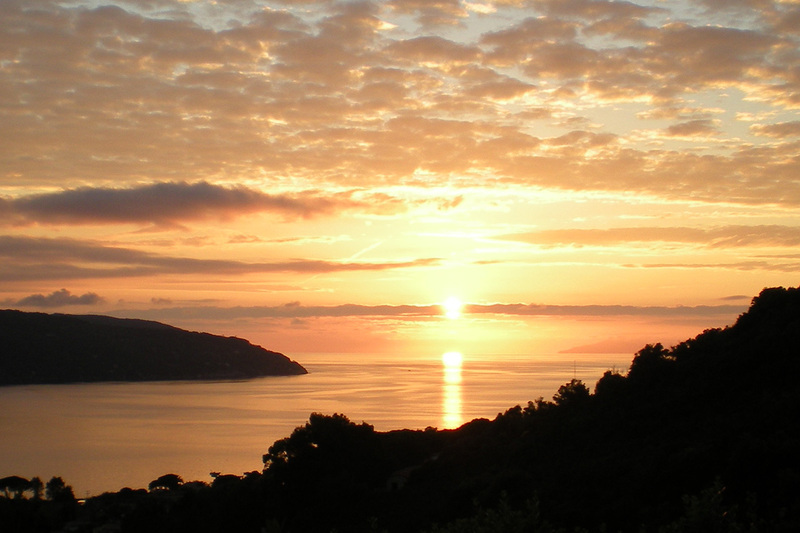 Today the island of Elba, Pianosa, Capraia, Giglio, Montecristo, Gorgona and Giannutri represent a unique environment for its climate, fauna, flora, culture and history. 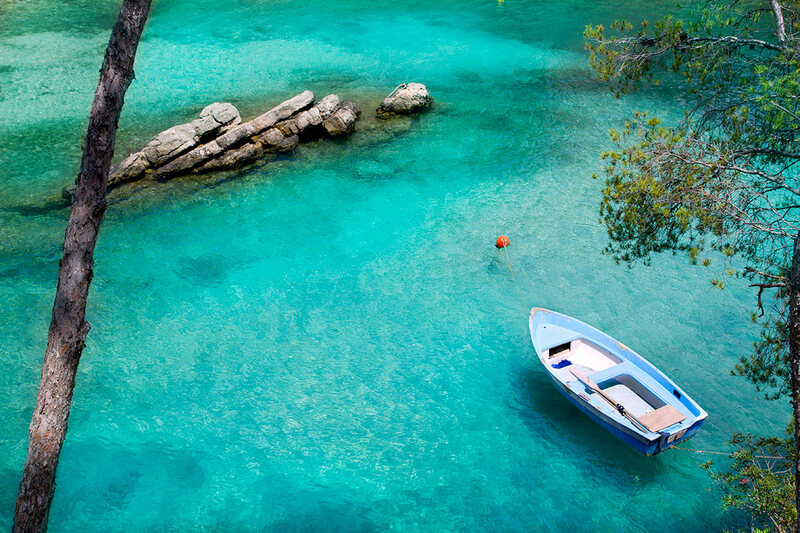 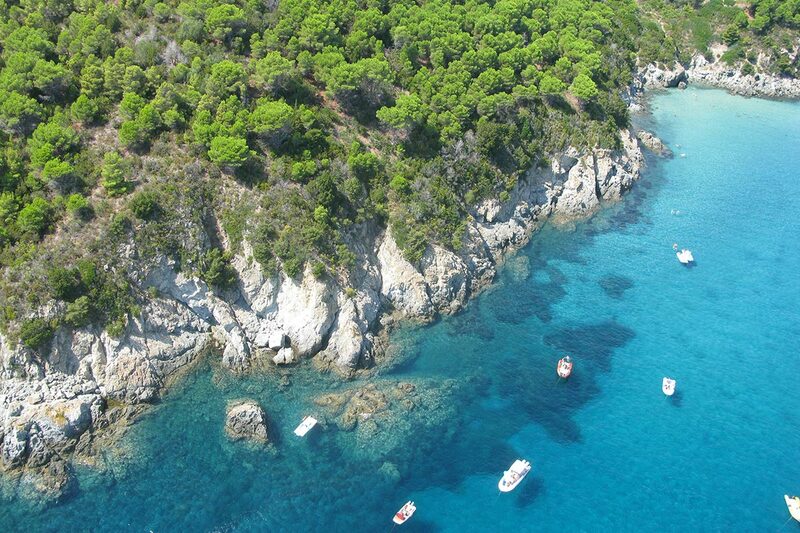 This precious and sensitive habitat is appreciated and protected since 1996 by the National Park Tuscan Archipelago. 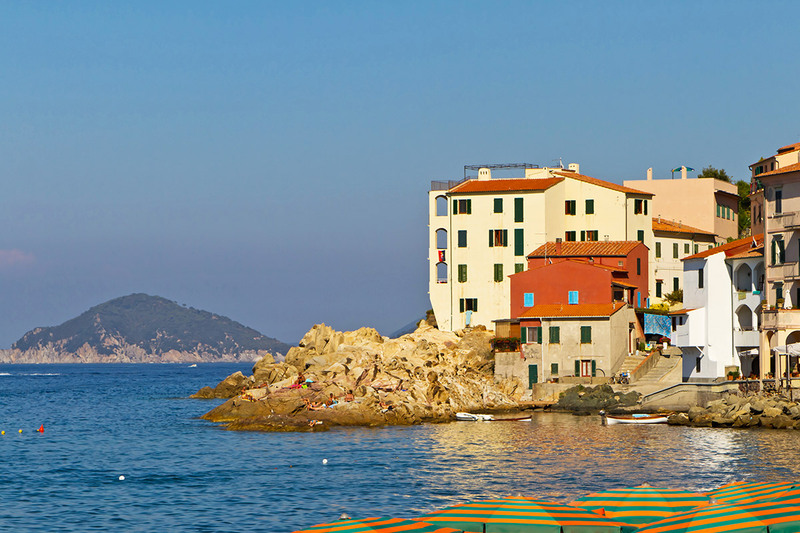 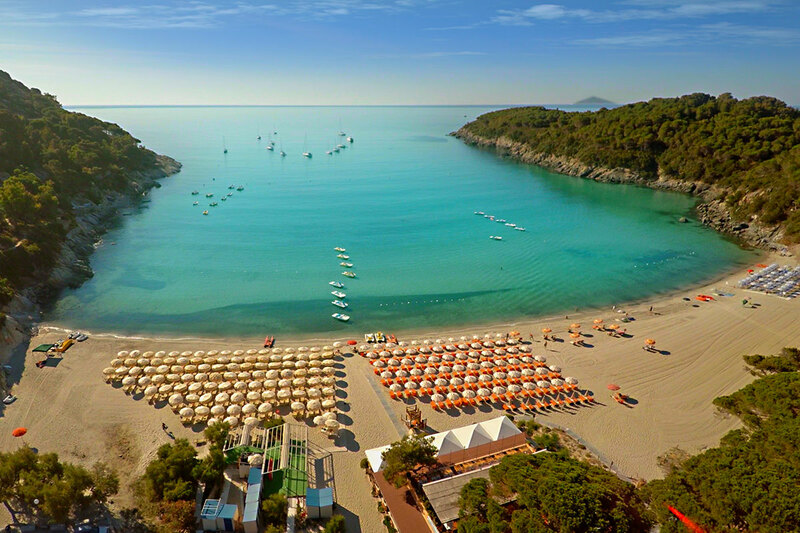 Elba, with less than 147 km of coastline, is the largest of the seven sisters and is the third largest Italian island. 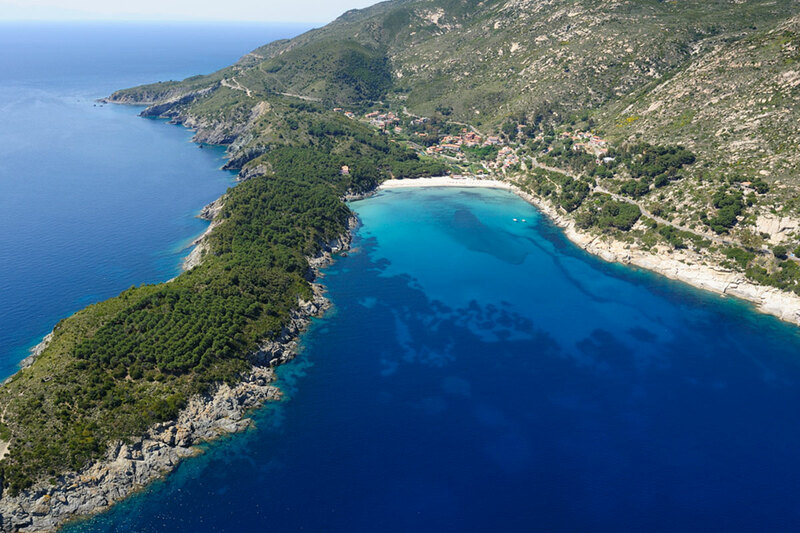 On its territory are harmonious fishing villages, steep coasts, very white or colored beaches thanks to the minerals, old mountain villages, green valleys, fields, granite quarries and large iron mines. 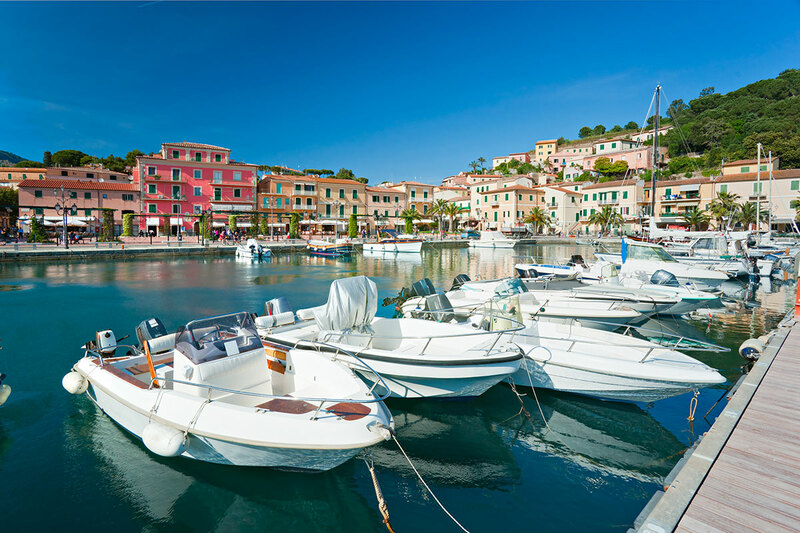 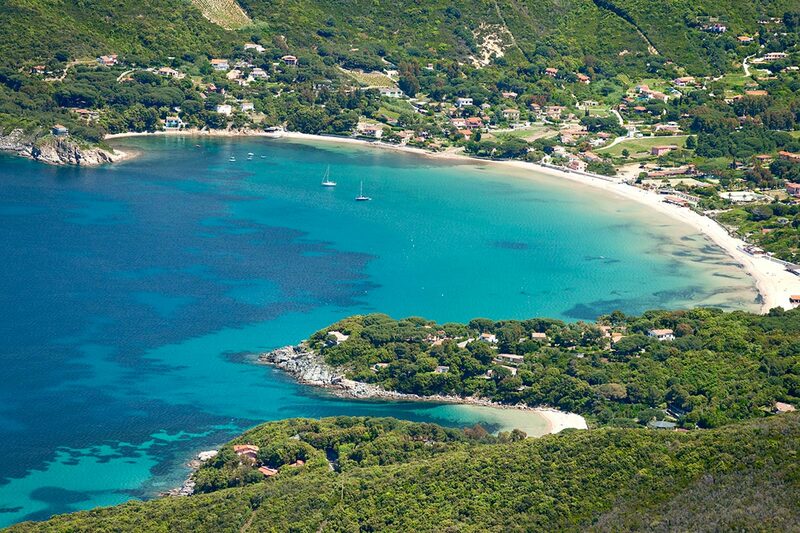 The local population currently has over 35,000 inhabitants divided into 8 municipalities: Portoferraio, Marina di Campo, Capoliveri, Porto Azzurro, Marciana, Marciana Marina, Rio Marina and Rio nell’Elba. 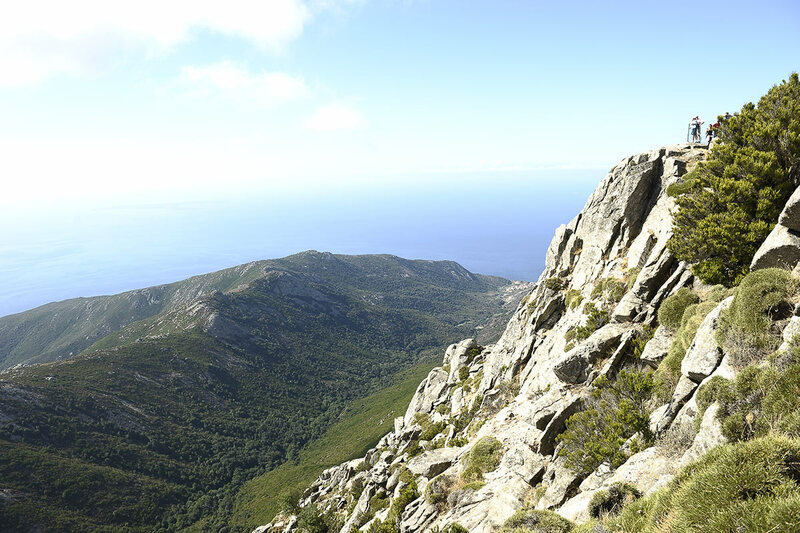 The highest point of the island is marked by Monte Capanne (1019 meters high), which can be reached via hiking trails or with a comfortable cable car. 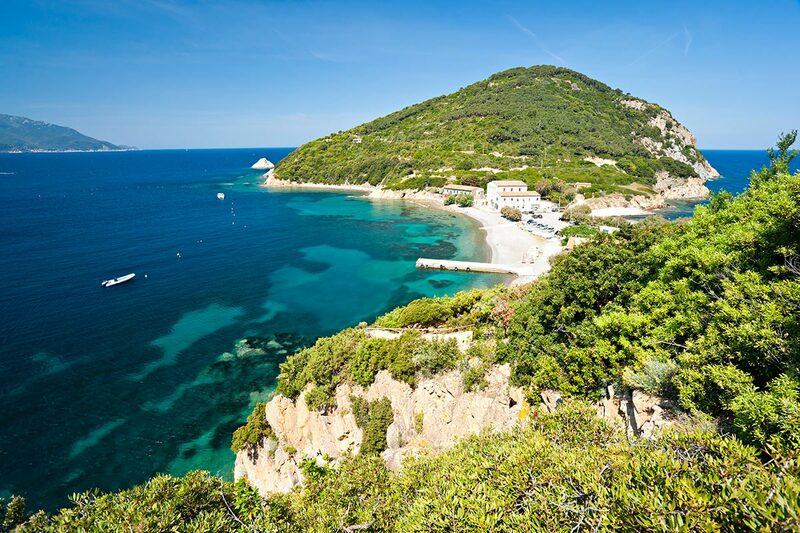 From its summit, you have a breathtaking panoramic view of 360 degrees on the entire Tuscan Archipelago and part of the coast of Tuscany. 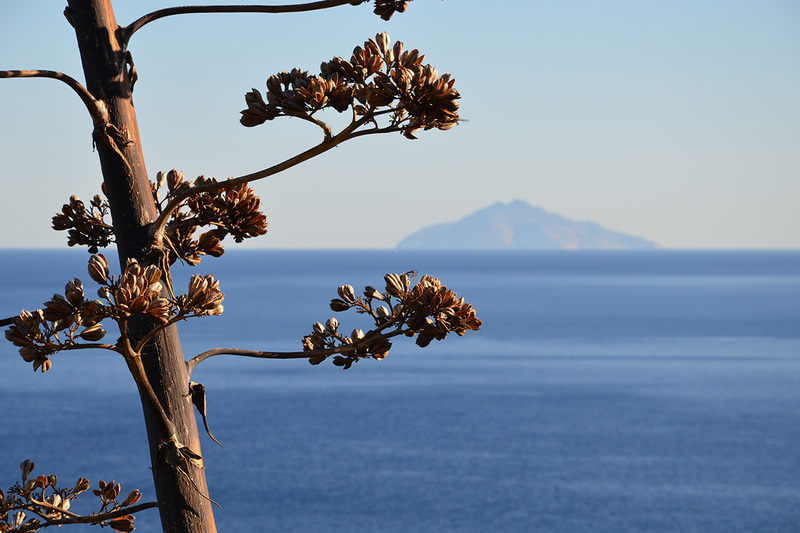 The island of Elba is connected to “the continent” or mainland by the ferries between Piombino and Portoferraio and Cavo. 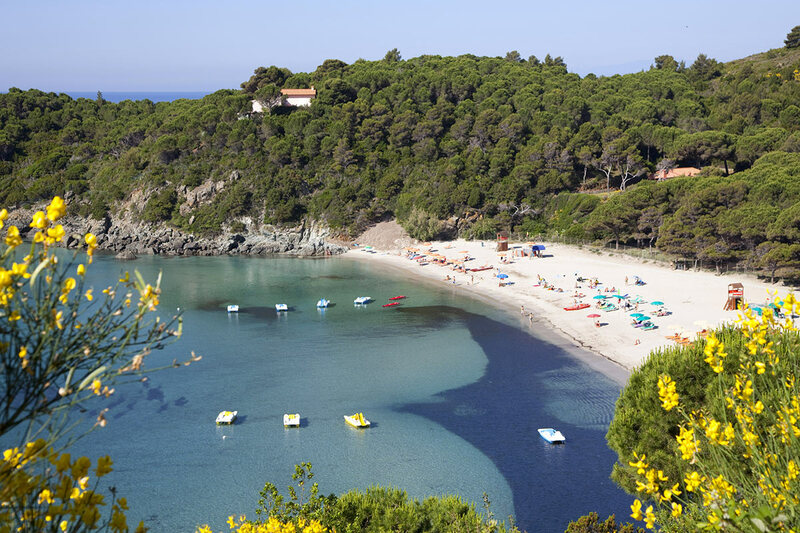 In Marina di Campo there is also a small airport, which is connected to the most important Italian and European cities. 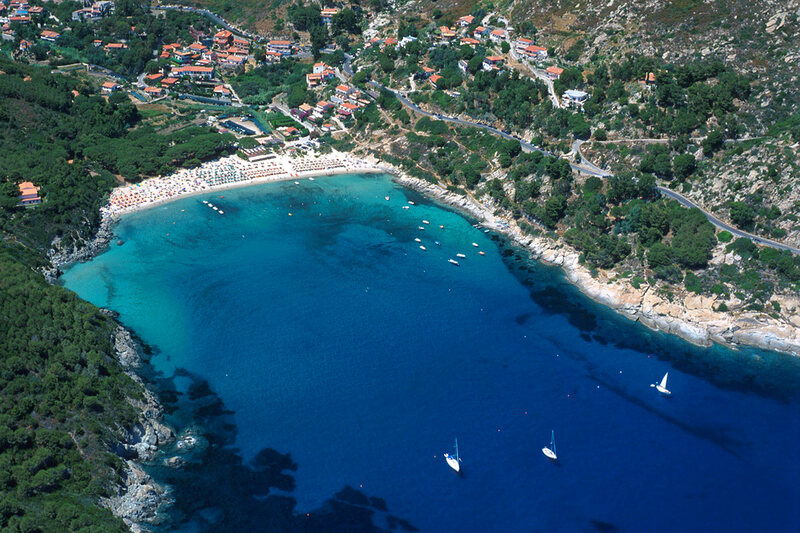 Elba is full of opportunities for activities for nature lovers and in recent years you have also become established for a variety of sports as an ideal destination. 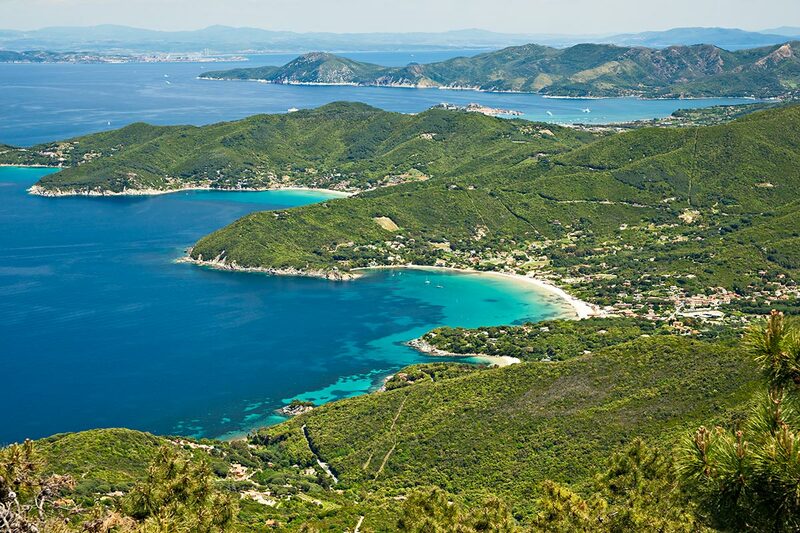 More and more major events and competitions are attracting thousands of participants from all over the world (Legend-Cup, Tour-podistico Elba, Maratona dell’Isola d’Elba, Elbaman). 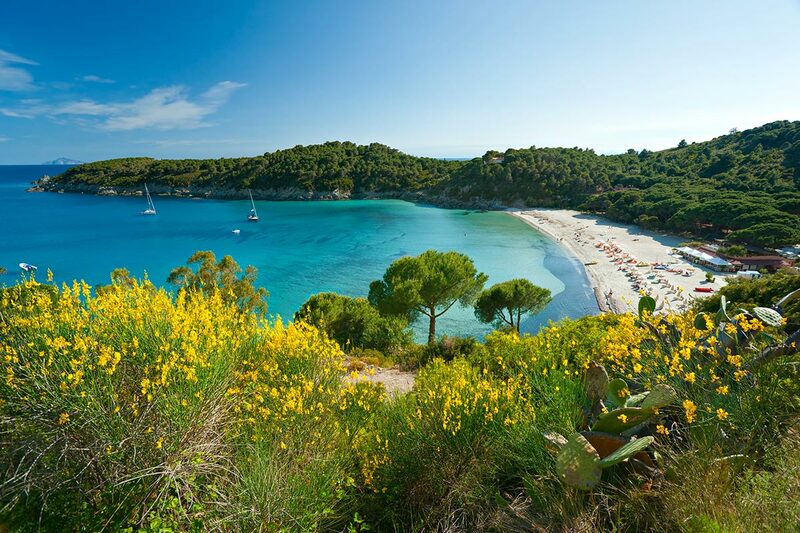 For those who like to dive into the island’s life, the various traditional festivals are not to be missed in any season: the memory of the legend of Innamorata, Festa del Cavatore, Festa del Maggio and Festa dell’Uva to name but a few. 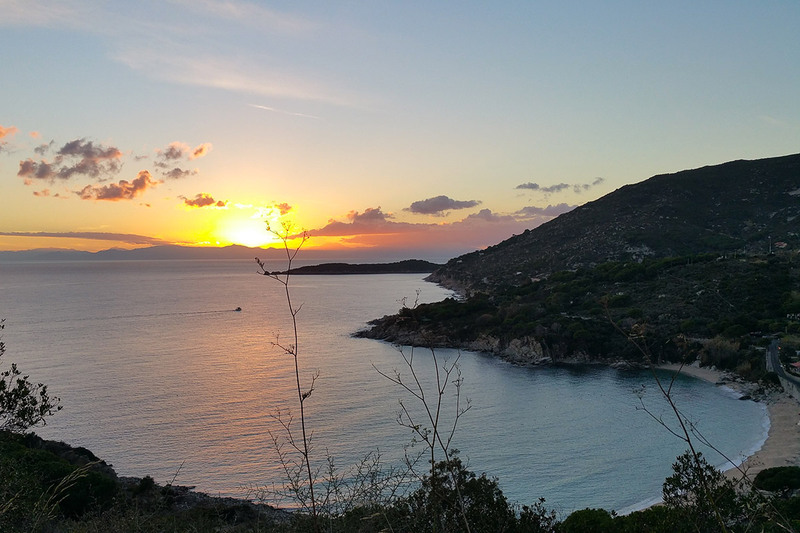 Of course, there are also fireworks shows, festivals, concerts, cultural events and theatrical performances.